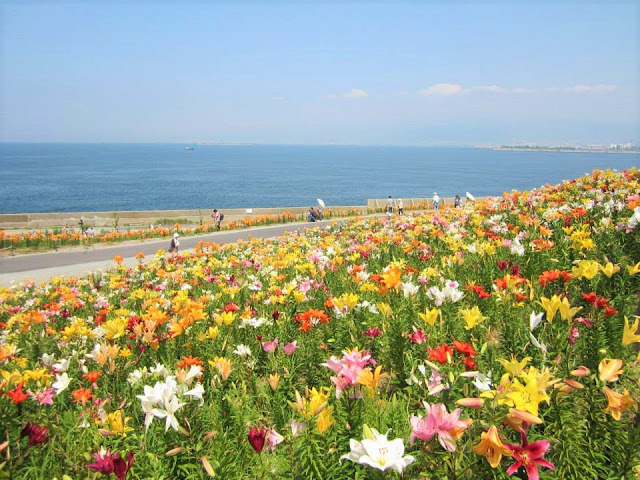 2.5 million lilies blooming along Osaka Bay in June~ They come in several different colours, with yellow being the most popular (judging from comments from locals around me) and striking against the blue sky and sea, though my favorite is bright orange! 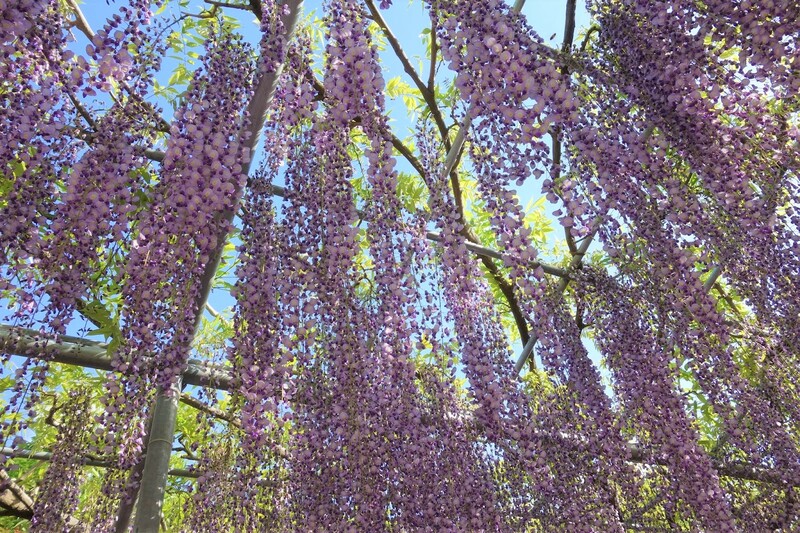 Another famous wisteria garden is Kawachi Fuji Gardens in Kitakyushu, the other side of Japan. 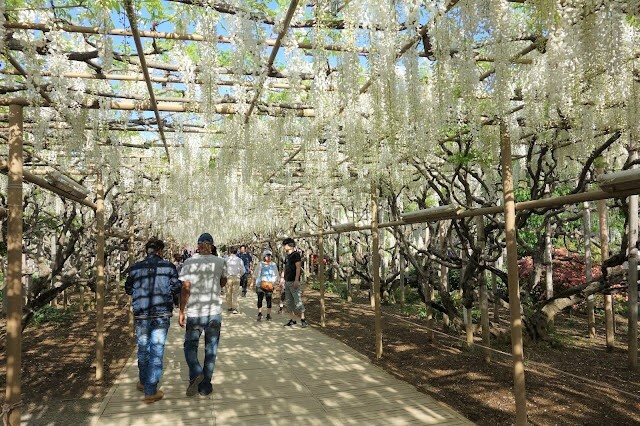 The wisteria tunnel here is very instagrammable, though in terms of quantity (scale) and quality (age), Ashikaga's is more superior. 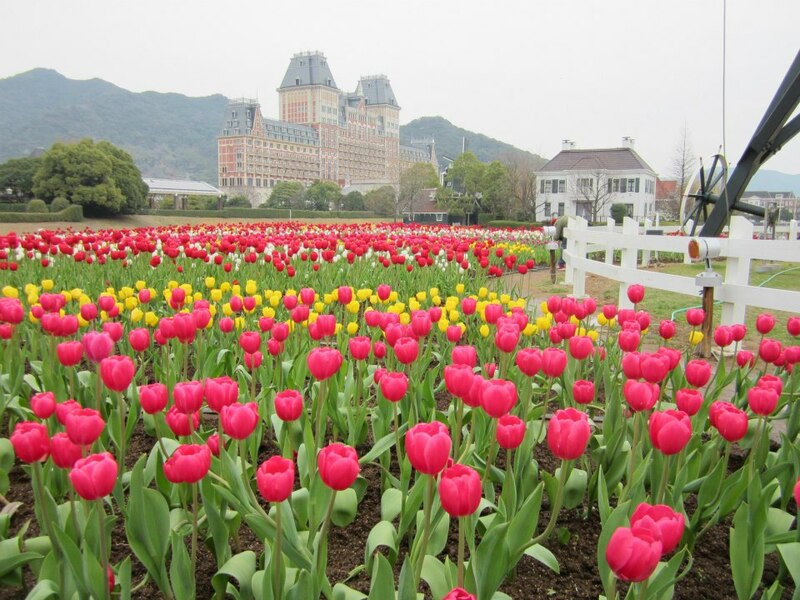 There are several places to see tulips in Japan, but in terms of scale, Huis Ten Bosch's Tulip Festival (mid-February to mid-April) is the biggest. There is also light-up at night. 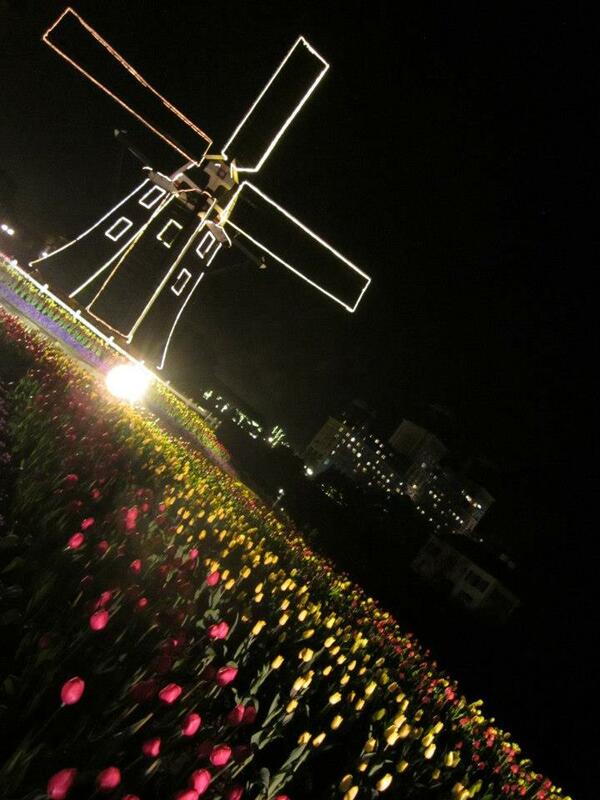 Doesn't quite feel like Japan though, as this theme park is Dutch-themed. It has always been my dream to go to Furano in Hokkaido to see the lavender fields. Wasn't able to fulfill it during my stay in Kobe as there was no long holiday in July. 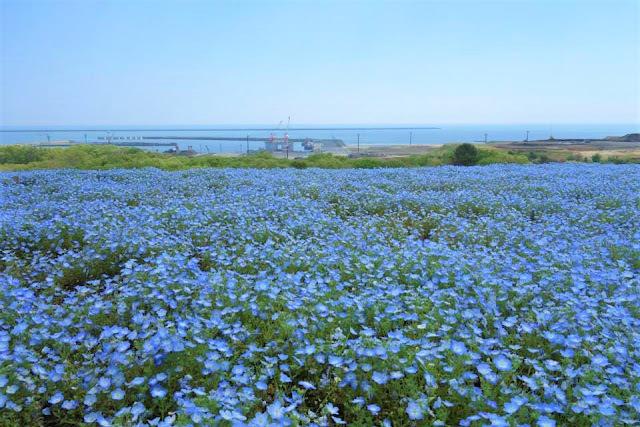 (And my job didn't allow for leave taking) So, I actually tried to search online for lavender fields nearby that I could go. 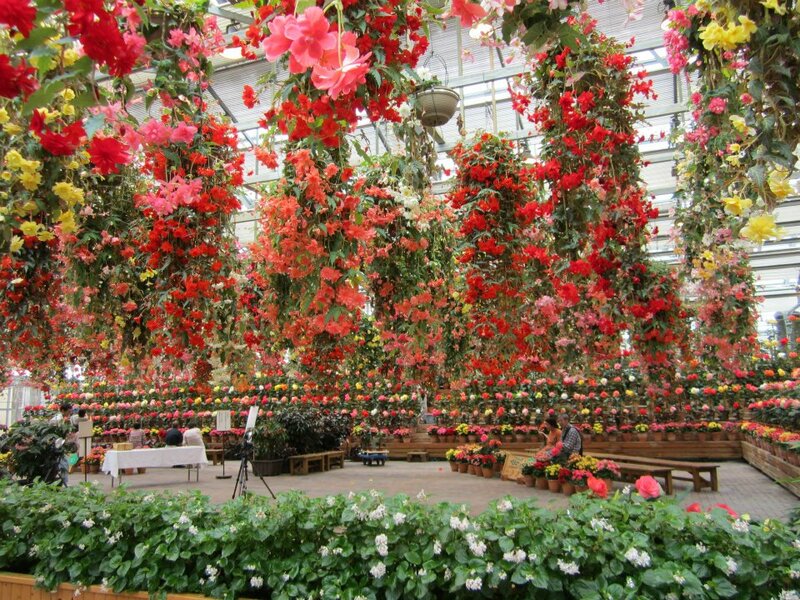 There were a few, but the scale weren't satisfying enough. 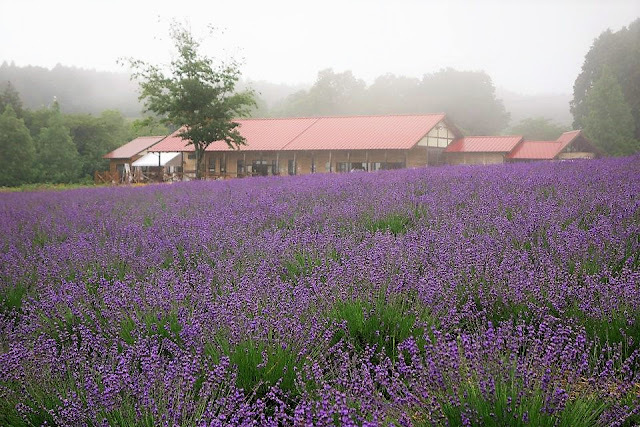 Not until I found Menard Aoyama Resort's Herb Garden. 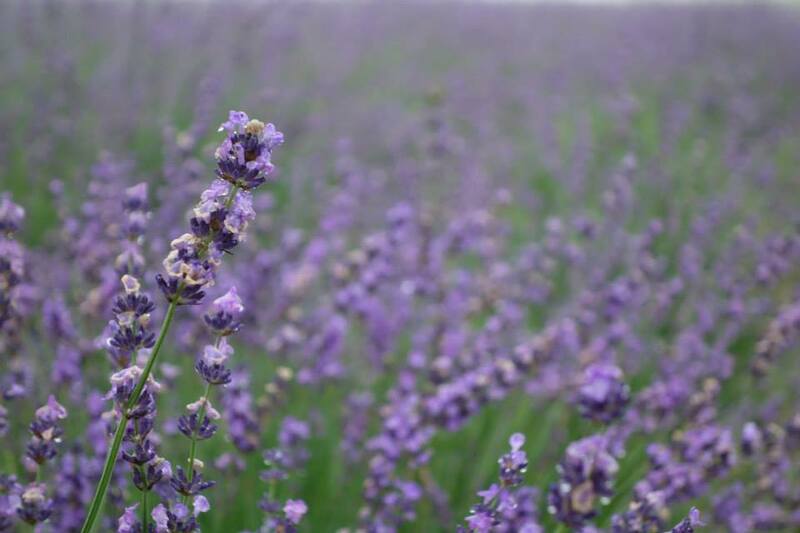 It claims to have 50000 lavenders! 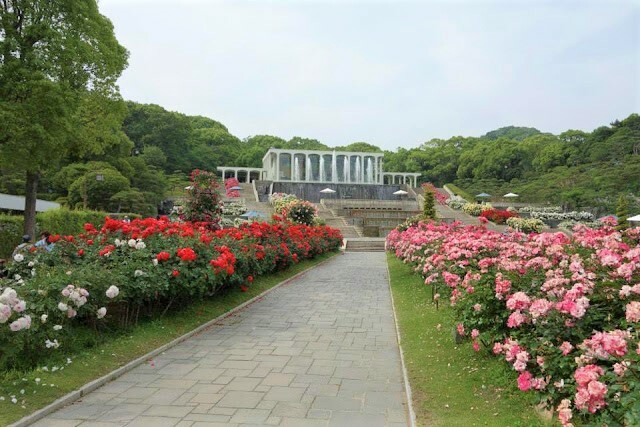 Yes, it's Kobe again, not because I'm biased towards Kobe :P There are a few temples around Japan that are famous for Ajisai, such as Hasedera and Meigetsuin in Kamakura, Mimurotoji in Kyoto, but in terms of variety and scale, this botanical garden in Kobe is truly notable. 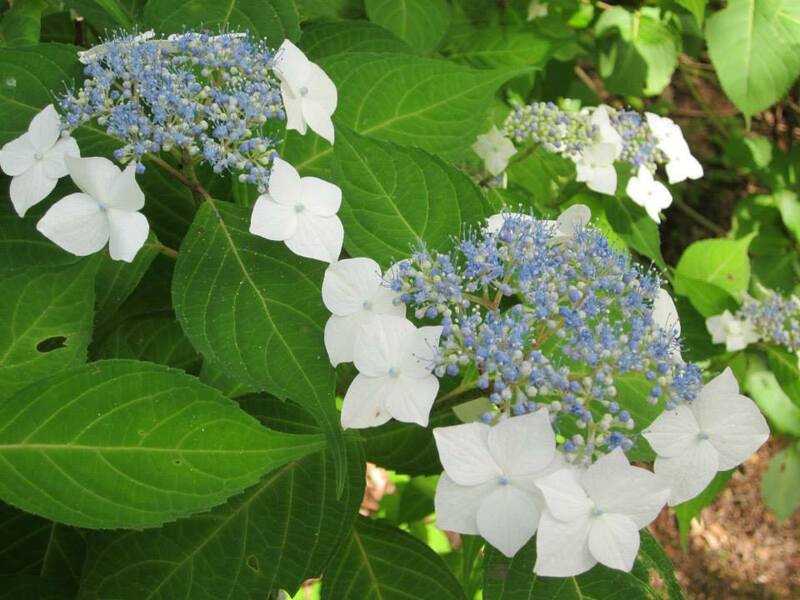 Well, Ajisai is the official flower of Kobe! 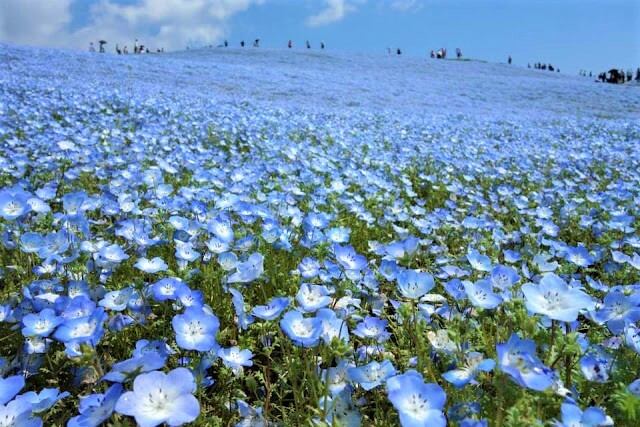 During the rainy season from mid-June to mid-July, many people flock to this forest garden. In fact, many residents of Kobe I know of visit this place every year for Ajisai. 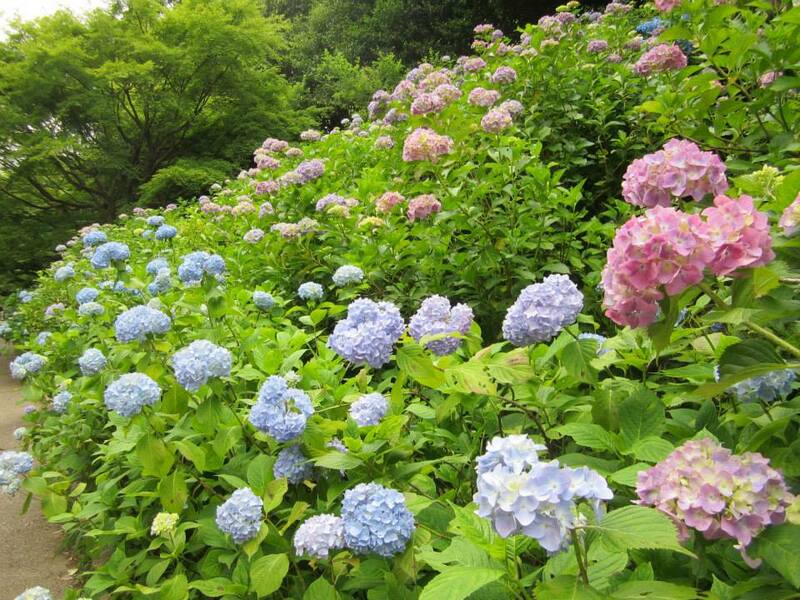 It is really relaxing to walk along the trails with both sides of the path lined with blue, pink and white Ajisai during the quieter weekdays. 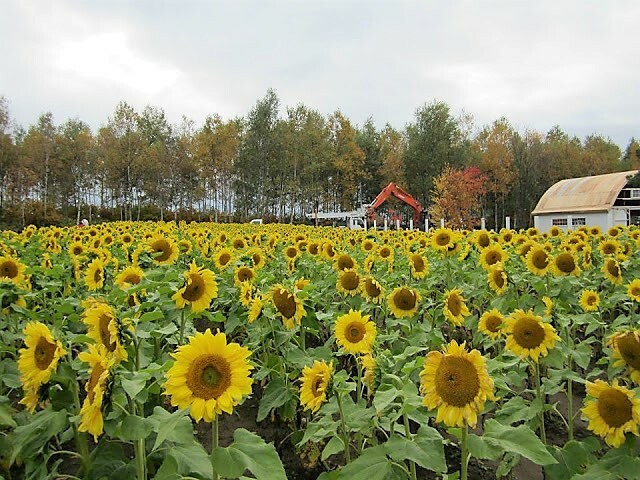 Other than lavender fields, Hokkaido is also known for its sunflower fields. 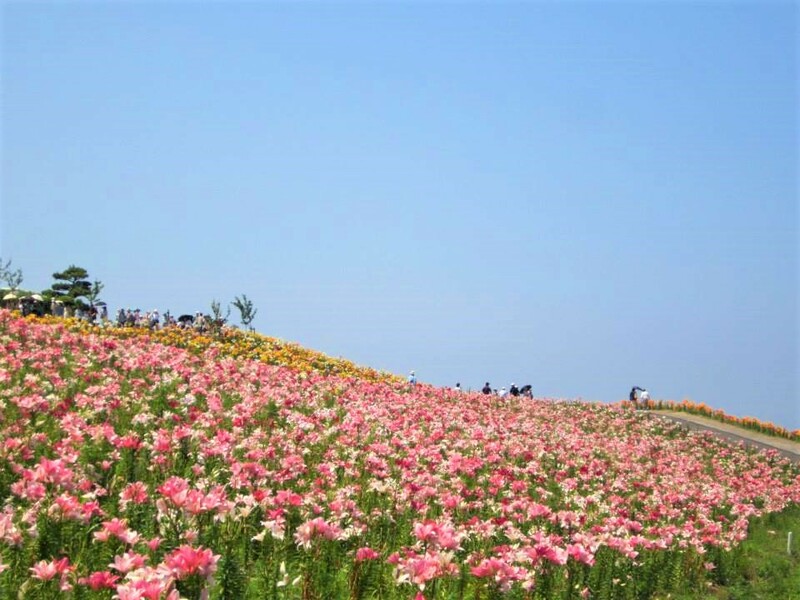 When I went there with a tour group in October 2011, didn't get to visit Himawari no Sato, boasting 1.5 million sunflowers, the most in Japan. 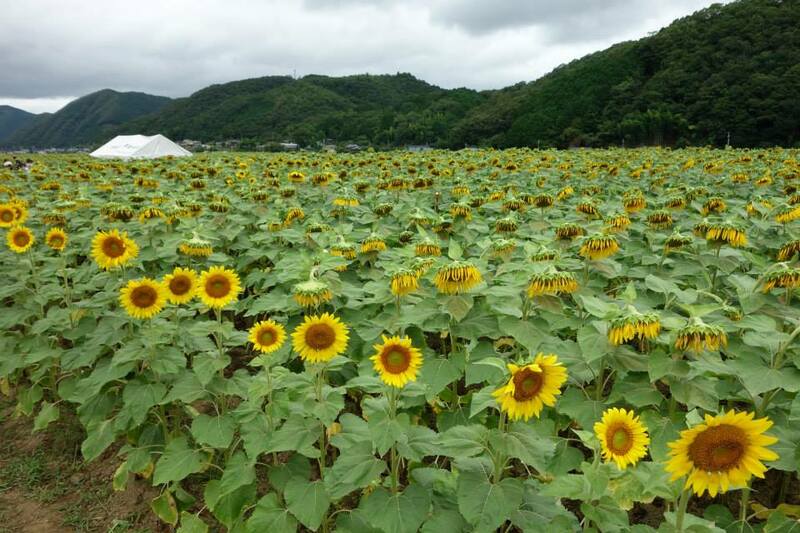 Was arranged to go to Shikisai no Oka instead, whose sunflower field is smaller but the flowers bloom later. 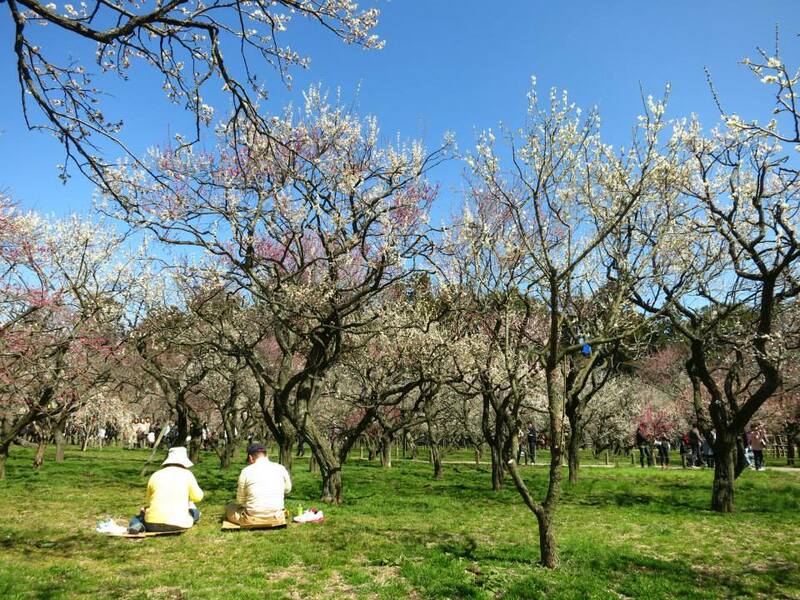 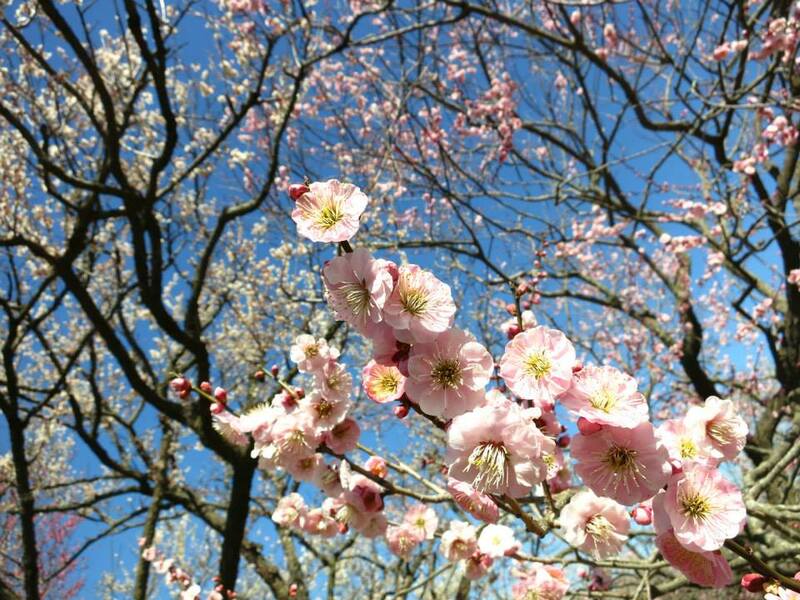 Another famous plum blossom spot is Dazaifu Tenmangu near Fukuoka, the other side of Japan, boasting 6000 plum trees. 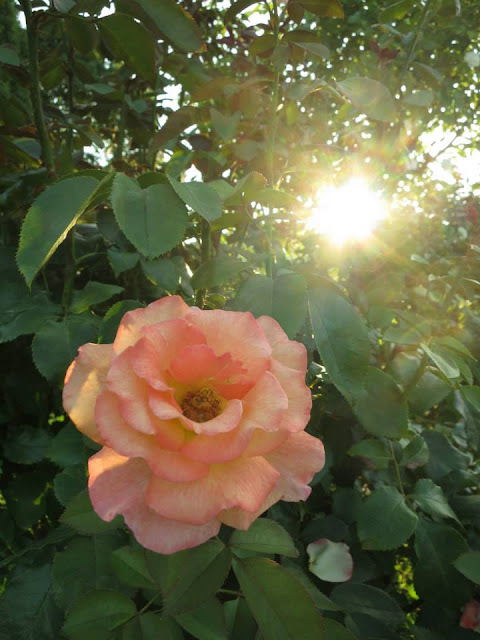 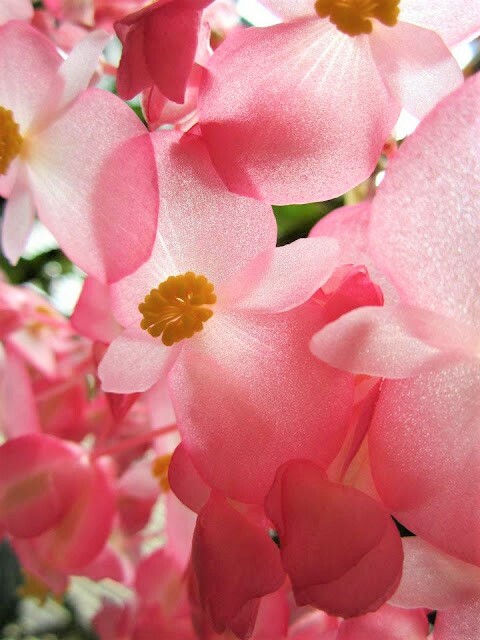 Note that the blooming period for most of the flowers varies every year, so it is important to check before visiting.